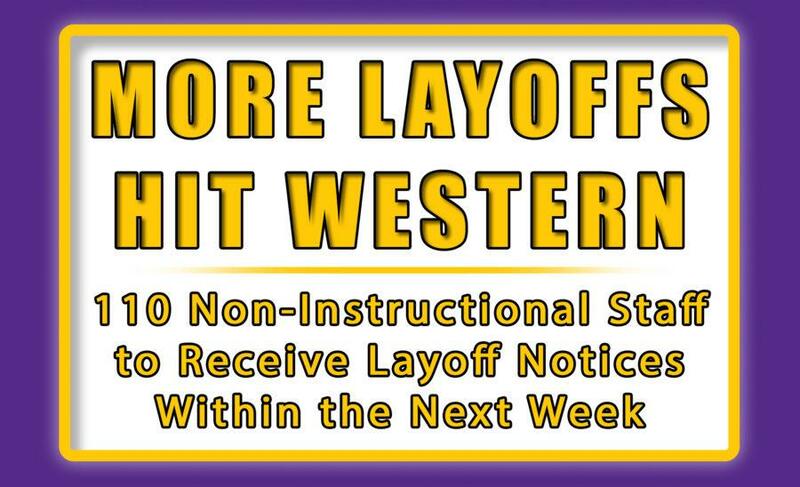 Earlier this afternoon, Western Illinois University President Jack Thomas announced an additional 110 layoffs, this time hitting non-instructional staff, along with other cost-saving measures, due to the current budget impasse. This announcement comes in the 10th month of the fiscal year without a budget or any funding from the state. Thomas also announced other plans to reduce more spending. P-Cards, or Procurement Cards, are credit cards that can be issued to university personnel for small purchases up to $5,000. Before the announcement, 50 employees had already received layoff notices. Thomas continued in the letter, saying that if a budget passes they hope to bring back some of the non-instructional employees, however they may need to add more layoffs and extend the furlough/pay reduction program if the state does not release appropriations. According to Darcie Shinberger from University Relations, non-instructional employees are the support staff, such as civil service and administrative personnel. Western is not alone in its suffering, as other state-funded universities have been struggling to get through the year. Chicago State University, arguably one of the universities in the worst place, announced earlier this year that all 900 of their employees, including the president of the university, would receive layoff notices. 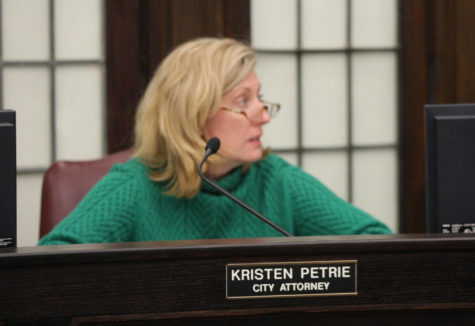 Not only that, the school cancelled their spring break in order to end the school year on April 28 instead of May 13 to reduce operating costs. To me it appears that the lay off of BSWS and others is a slap in the face to Veterans. We served our country come home look for a job get hired by the state who does practice preference hiring so the lack of funds ding for state jobs is a real thanks for your service from the state of Illinois. By the way where is the tax money we are still paying going? Killing the State to get rid of Unions is like cutting off your nose to spite face. We need a Statesman or woman politics be well you know.